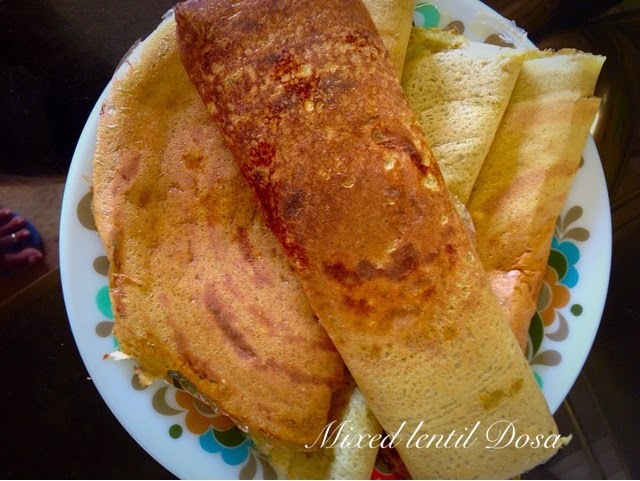 Mixed lentil dosa: So healthy, crispy and absolute yummy, full of proteins, no rice, no flour, no fermentation required, can be made instantly after grinding, suitable for kids even toddlers..healthy breakfast and tiffin idea..I served it plain for breakfast, fill it with veggies to make a complete meal. Soak all lentils together preferably overnight or minimum 4 hours. 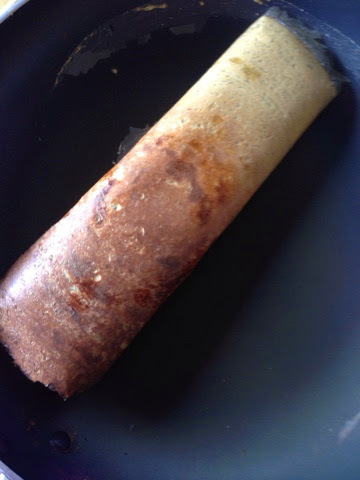 Strain and grind by adding little water to get dosa like consistency of paste. 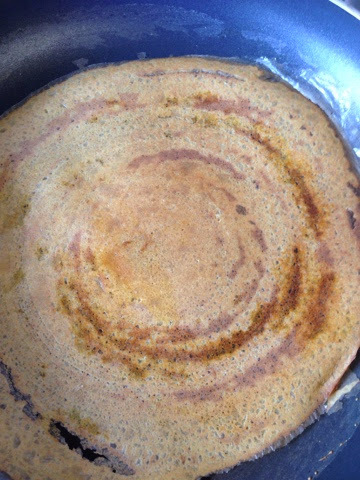 Heat a skillet nicely i used non stick. 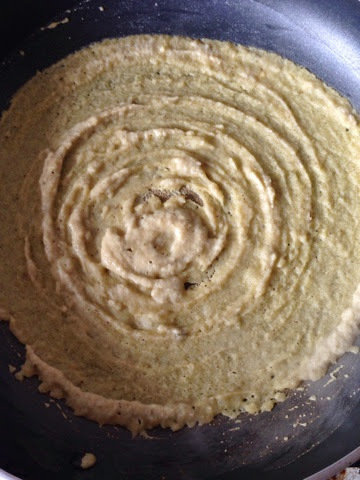 Take one serving spoon of batter and spread in crescent manner as thin as possible. Drizzel few drops of oil and let it turn brownish between rings. ease with the help of spatula and flip. 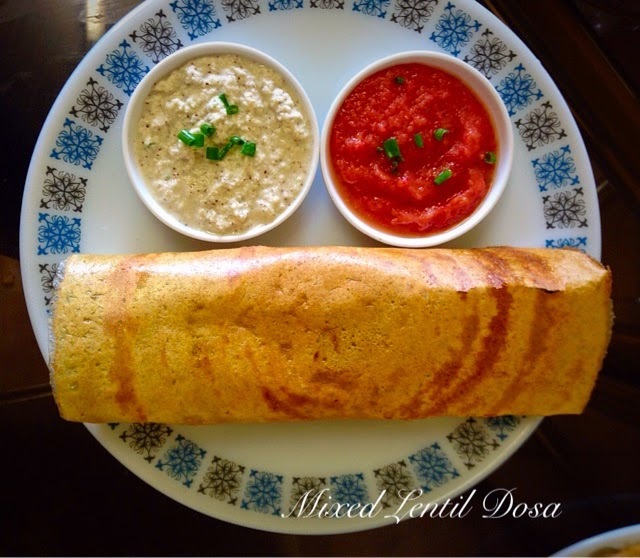 fold and Serve with coconut or tomato chutny. 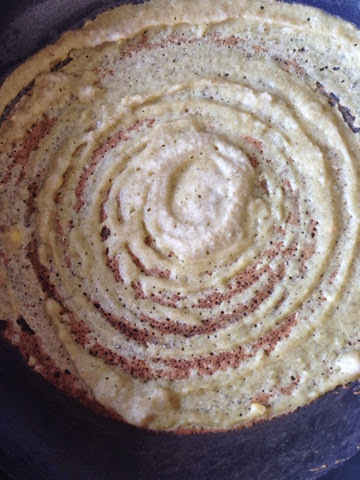 Green chilli, heeng can be added while grinding the lentils for extra flavour. 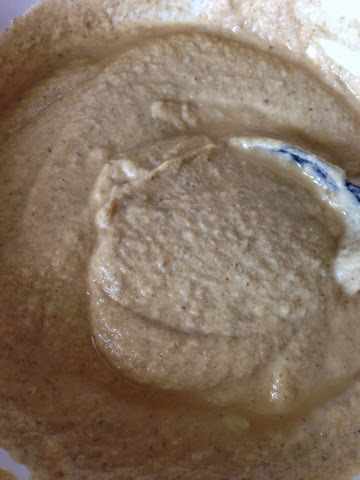 You can add 2 tbs of besan/rice flour to batter for taste and texture but I did not use in this recepi.